1. 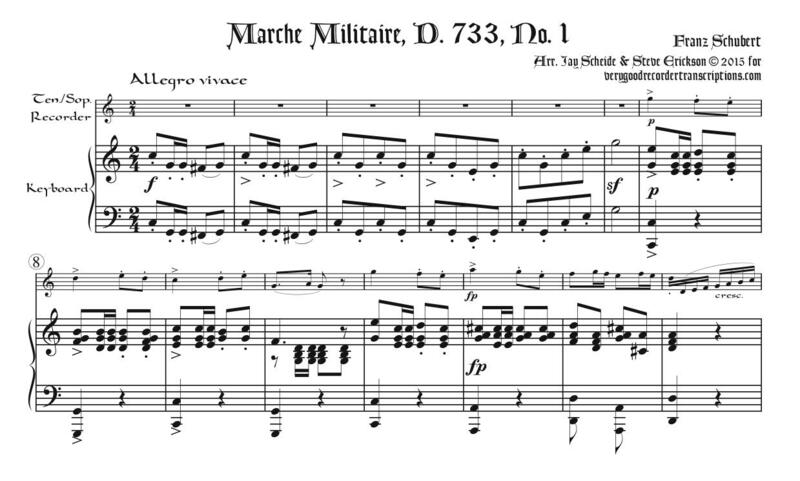 Marche Militaire, D. 733 #1, originally for piano four-hands in D major, transposed here to C in C-instrument version, and F in alto version. 2. Number three from Moments Musicaux, D. 780, originally for piano solo in f minor, remaining in that key for the C-instrument version, and transposed to a minor in the alto version.